Everybody wants to have equity in their home, it's why homeownership is a big part of the American Dream. Wouldn't it be great if there was a short cut to acquiring equity in a home? Are you looking for that short cut here? If you have been thinking of buying an older home with the idea of fixing it up, you'll likely hit the internet looking for the "Do's and Don'ts" when renovating a home. You likely want to buy it now, do some work, and then almost immediately own a home that is worth far more than you paid. The good news is that you CAN do this, but the bad news is if you follow the path of most people who have come before you, you'll make a big mistake. And this mistake will result in you owning a home that has NEGATIVE equity ... meaning you'll have more money invested in it than it is worth. Unlike most assets that lose equity as soon as you purchase them (like cars, boats, electronics, etc. ), your home is something that you can enjoy and have grow in value at the same time. 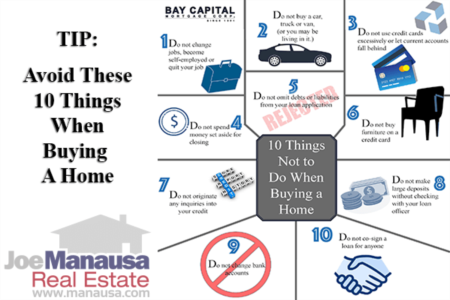 But digging a hole by spending more money on a home than it is worth is not only frustrating, it requires you to a commit to owning the home for a longer period of time to allow appreciation to move you past your investment. Fortunately, this can be avoided. Take a look at our tips on how to avoid making a big mistake when you buy a home to renovate, then look at the real world example featured at the end of this post. It uses a home for sale now, so it's not merely a case study on a home you already missed out on. The biggest mistake that I see people make is that they start their process off by looking at homes that could never be renovated profitably. They invest zero time in finding niches in the market where renovations are more likely to be profitable, rather they go out and look at homes on the market until they find one that seems to fit their needs. They buy the home with a plan to fix it up, only to discover the neighborhood will not support the investment required to renovate the home to their liking. Ultimately, they end up being the most expensive home in the neighborhood. Of course, if they plan to stay there for twenty years or so, then they will be just fine. But why not avoid this trap? Here's the process that we recommend to our homebuyers. It has saved many people from starting off upside down. Interview And Hire The Right Real Estate Buyer's Agent - This is the easy part, but it certainly is one way to screw up too. If you work with an agent with limited experience, you'll likely find yourself among the 80% of homebuyers who wish they had purchased a different home. Interview enough agents so that you are comfortable you're working with the best (after all, the seller will be paying your agent, why not have the best?). Determine Your Overall Budget - Start by being like other smart homebuyers, figure out how much you should spend on your home. This price should include all acquisition and closing costs, as well as all renovations. This budget will help you do a better job in your search (as we'll demonstrate in the following steps). If your budget is $550,000, then you'll need to be able to buy a home cheap enough so that the consequent renovations will not take your total spend beyond $550,000. Your buyer's agent will help you with this and will guide you to the right lenders to confirm your budget. Determine Key Features And Amenities That You Must Have - It's important to know what you want before you start your home shopping process. Too many buyers go out and look far beyond their budget, then they end up frustrated when the time comes to choose a home. Everything they like is too expensive. Make sure your buyer's agent invests time with you to truly understand exactly what you want and what you are willing to pay. An experienced buyer's agent will help you find things that most real estate agents won't even know exist. 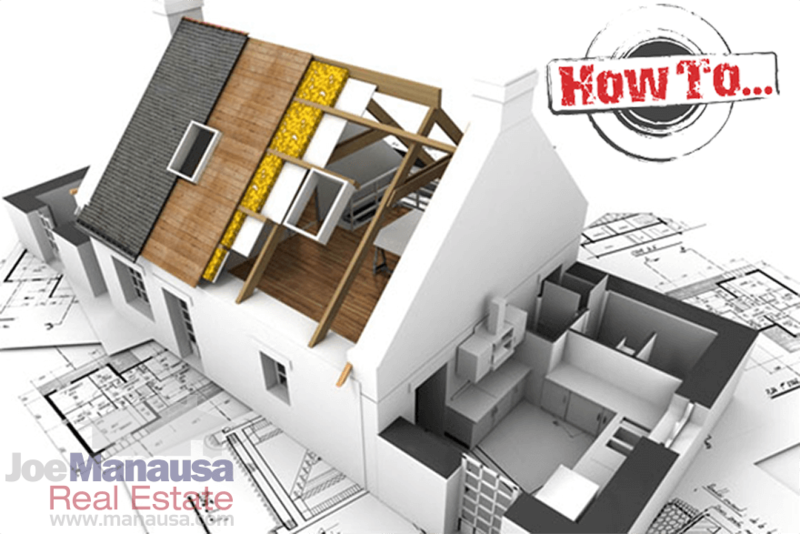 Exhaust The Inventory Of Fully Renovated And New Homes First - Don't assume that you need to be the one to renovate a home, it might already exist. And you might be lucky enough to find a home seller who had not planned well and now is selling a home with more money invested in it than it is worth. Go through all the homes for sale before you move on to homes that will need renovation. Find the diamond in the rough if it exists. Modify Your Search Parameters - This is where the majority of homebuyers end up missing the best homes on the market for renovation. Using our example of a $550,000 budget, a buyer looking for a renovation must completely reorganize their search parameters. Have your real estate buyer's agent set up a polygonal search that includes only those areas where you want to live. Change your price range from your budget amount down to much lower amounts that will allow you to find homes that are terribly dated or perhaps in disrepair. For a $550,000 budget, I would set this search up for $150,000 to $300,000 dollars most likely. This is where the best deals will be hiding, because these homes need major renovations and thus buyers unwilling to do this type of work are not even seeing them. The majority of buyers who see a $250,000 house have a budget of less than $300,000, so if it requires $200,000 worth of work, they hate the house and move on. This is where you can flourish. NOTE: It is critical that your buyer's agent is a market area expert as you need to ensure that a $250,000 house can support the final valuation after you do your work. This is not so easy and you must be shopping in the right areas. Contract Before Due Diligence - When you find the right home, jump on it. Most buyers want to bring in architects, engineers, contractors, lawyers and a virtual circus of experts to guide them on the renovation, but they typically lose-out on the purchase while they are sharpening their pencils. Instead, your experienced buyer's agent will have a special contract provision that will give you control of the property long enough for your experts to run the numbers. Remember, a house you control (through a contract with the owner) is one you can choose to either buy or walk away from, but one that is on the market might fall under somebody else's control. Amateur mistake! Don't let this happen to you. The great buys are few and far between. If you are wondering "how do I know what to offer without knowing what my costs will be?" then you correctly have discovered another need for working with a highly trained and experienced buyer's agent. He will be able to help you determine a close-enough cost estimate to determine your purchase price. The home you've found will likely be highly competitive and the purchase price will be not be too difficult to calculate based upon current market conditions. Remember, you are not the only buyer looking for the best home to buy and renovate. Once you find it, you must first beat your competition to the contract. 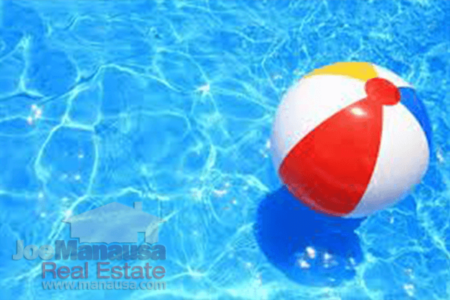 Close On The Right Home Or Cancel And Renew Your Search - If the numbers make sense and the home is in the condition that you expected, close on the home and Congratulations! If not, submit a counter offer to the seller and explain why you need to lower the contract amount. A good buyer's agent is critical at this juncture, because no seller wants less than the original contract amount. We have had success showing sellers that future buyers will end up with the same conclusion. If the seller will not budge, simply cancel the contract and renew your search. It really is that simple. If you follow the path outlined above, you will end up with a home that costs you market value or less, and it will be renovated exactly as you wish. Don't forget to check out the case study below as you'll see a classic case of how it should be done. 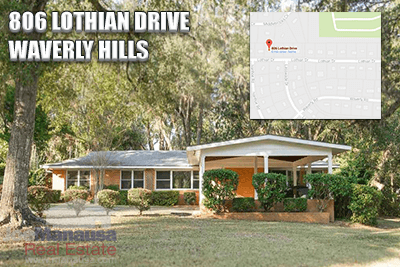 The home on the right (you can see the full listing detail in the Tallahassee MLS by clicking on the image itself) is listed for sale for $250,000. Most people looking at it are planning on spending about that amount, yet none of them like the fact that it is very dated. The home has not sold right away because the wrong people are seeing it. People spending $250,000 today are looking for homes with newer amenities than this one contains. It's being shown almost daily because buyers in this price range are amazed to find something at this price in this area. But it's just not want they want. They don't care that it is bigger, in a better location, and sitting on a larger lot than they will get, they want what they want. And this is not it. But here is why this house is a steal for buyers at a much higher price point. If I were in the market for a home in the $500,000 to $600,000 price range, this home would be my top choice (assuming I had the time to wait for renovations to be completed). I am confident that a fully renovated home (it can end up being roughly 3,500 square feet) on a half an acre surrounded by Middlebrooks Circle / Waverly Hills will be worth every penny of up to $600,000. The future for this neighborhood is even far higher, as we'll see Waverly become one of the top tear down and rebuild neighborhoods in Tallahassee. Work Needed: Floor plan needs adjustment. Exterior walls must be heightened, new interior walls must be built, and a new roof (not re-roof, entire new high-pitch roof system) must be added. All floors and walls must be resurfaced. New appliances and a few other odd jobs are needed. Carport converts to garage and plumbing and electrical might need work too. I am confident this work can be done from less than $300,000. Somebody with construction experience can likely bring it in closer to $200,000. Result: Once the dust settles, a smart buyer will have $450,000 to $550,000 dollars invested into a like-new, 3,500 square foot home worth upwards of $600,000. And this is not out in the boondocks, it is in prime Midtown! What today's buyers have overlooked is this lot is worth the asking price, the house is basically free. It is a canvas in which one very happy homeowner will build equity and live in a highly desirable area. If you would like to know how to secure this property and start your no-risk due diligence period, simply drop me a note and we'll take care of you today!